Since 2000, as the forces of gentrification and development make profound changes in neighborhoods of East Austin, University of Texas RTF students have made short documentary films about the communities, families, individuals, institutions, and businesses east of I-35. East Austin Stories is the name of the ongoing class in documentary filmmaking; the annual, free, public screening of new films in neighborhood venues; and this collection of all of the short films. Colombian Singer-songwriter, Diana Naranjo, sings from the soul as she embraces her artistic expression. Portraits Behind the Paint - Meet Chris Rogers, the artist behind the mural at 12th & Chicon streets. “…Chris Rogers’ mural at 12th and Chicon streets was painted over, sparking outrage from the community over what many saw as an act of gentrification…” (Austin American-Statesman, 2/19/2018). 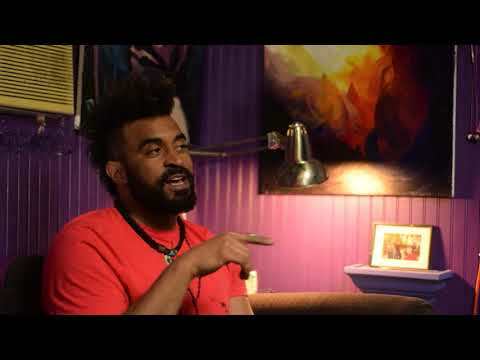 Chris shares his passion behind his work, what it was like painting for and with the East Austin community, and his thoughts on dealing with change while staying true to one's self. Stuart King, funeral director of King-Tears Mortuary, reflects on life and death. There are dance traditions in the Americas the are older than any single nation. Here, a small troupe in Austin, practicing in the hours they can find in between work or school, perform a dance with roots reaching back hundreds of years. The White Horse is a bar and more in East Austin. It is community. A place that tries to take care of its bands and its people. A West Indian steelband played by 11 year olds in Austin, TX? 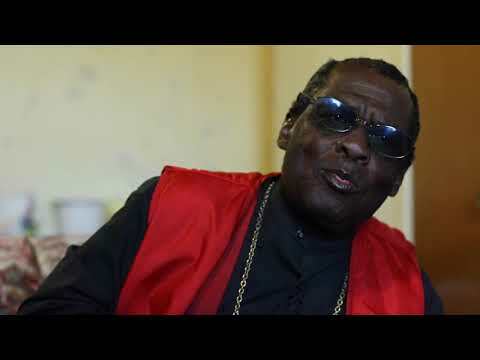 Meet Cecil Francis and the Austin Community Steelband. SXSW is known for bringing people from all over the world together, but how is it seen by the people of the East Side who are having their everyday lives interrupted by an influx of temporary vagabonds? That's where SXSEast comes in. This is a documentary shot over 10 days during the SXSW Music/Film/Interactive festival in Austin, TX. A night club with the inflammatory history of the shooting of a young African-American man by police is transformed by a church into a community space. ShopTalk, Or "No Change in the Barbershop"
Shop Talk explores local East Side barbershops, the men who own them, and the constant haven they provide in an ever changing neighborhood. Reness Broussard left prison two years ago hoping to make a life for himself in Austin, Texas. However, the near non-existence of housing open to convicted felons has kept him houseless and unable to live a full and independent life. This short documentary is a personal insight into some of the issues of life after incarceration. Behind the scenes with the group, Mindz of a Different Kind, in East Austin. Austin chef, Sonya Coté, is making a go of it on East 11th Street at the Hillside Farmacy. The work is hard, the days are long, the food is...wonderful. Inked, tattoo artist, father. Pineapple runs Shaman Modifications Tattoo in East Austin. Queer folks in East Austin reflect on their unique identities and experiences. They share their appreciation for the community they have built. Writer, storyteller, slam poet, Lacey Roop, performing and just talking about life and art. Cine Las Americas is one of the great film festivals in Austin that is still in the shadows of its bigger cousins. But to audiences in the know, and more and more people interested in Cinema of the Americas, it is a great venue. Festival director Eugenio Del Bosque and several participating filmmakers describe this jewell in Austin. When Bella Zapata and her mother Dianna Perez moved out of Grandma's house, Bella painted a map of the way back...that became a prize-winner and a neighborhood park mural. Three generations of women tell their story. John Cazares at The Green and White Grocery sells traditional medicines and velas espirituales. But step into the back and you might find him drumming or leading a martial arts class. The Green and White is a place to connect with the community with a history that goes back farther than the building itself. If there are lines between Art, Play, Spirituality, and a little Hokum, they are sometimes hard to find when these Yard Artists go to work. People aren't just making this stuff, they're living it.